We all have a love/hate (mostly hate) relationship with the Infinity Stones, Marvel’s favorite magical McGuffin. So, will they make a cameo in the second Guardians of the Galaxy movie? Director James Gunn addressed it, plain and simple, on Facebook Saturday. Don’t get me wrong, Infinity Stones can be a lot of fun. I mean, they’re objects of infinite power tied to different aspects of the universe. They can be a great plot device. 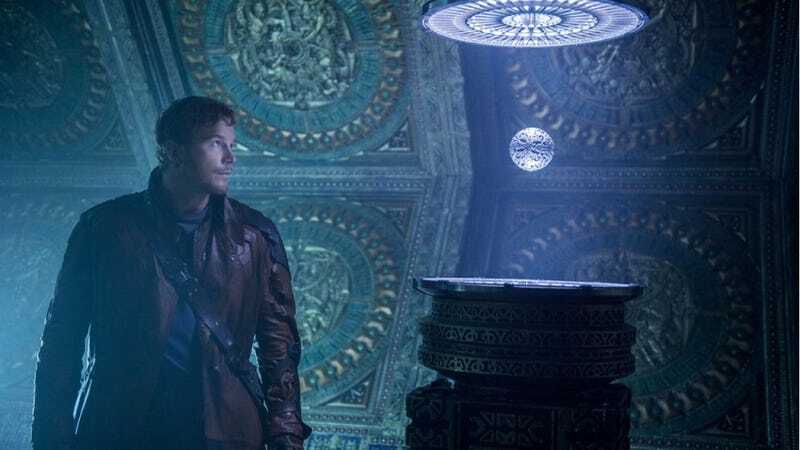 The Power Stone, specifically, played a huge part in the first Guardians of the Galaxy, hidden in the Orb that was taken by Star-Lord, leading to an intergalactic goose chase. The last we saw the Orb, Star-Lord had handed it over to the Nova Corps to be locked away for safety. That’s where it should stay. The stone definitely served its time, but it’s time that it, and other stones, stay out the picture, letting more Marvel movies stand on their own. Still, they could come back for Infinity War. I mean, it is in the title. What do you think? Was Gunn right in keeping the Infinity Stones out of Guardians of the Galaxy 2? Or are they as Marvel as Vision’s Chicken Paprikash?